Early-Bird Tuition Discount Extended Through April! 10 More Days of Early-Bird Discount – Apply Today! If winter hasn’t ended in the Midwest, why should the early-bird savings?! We’re excited to announce that we’ve received more applications for the 2018 Forge Leadership Summit by this date than ever before. Due to popular demand, we’ve decided to extend the Early-Bird tuition discount for 10 more days – through April 30th. Please share the news with any young conservatives in your networks – they have an amazing opportunity at the 2018 Forge Leadership Summit this summer. You can forward them this email! What Is The Forge Leadership Summit? 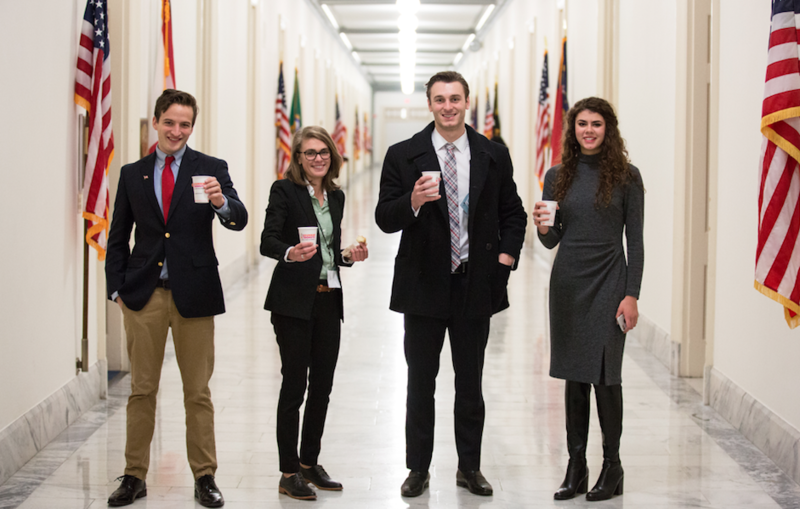 Principled, passionate young conservatives ages 18-25 who want to impact government and culture and expand their networks and career opportunities. Tuesday, July 24th through Saturday, July 28th on the campus of Ohio Christian University in central Ohio. Two of those days are spent at the Ohio Statehouse in downtown Columbus. *Summit Tuition includes dormitory housing at Ohio Christian University, meals and snacks, transportation to and from the statehouse, materials, as well as cost for any activities. Why Is This Worth My Time? What Makes This Special? – Nationally-Recognized Training and Networks – A national publication, The Daily Signal, wrote a featured story about the innovative work of Forge, andwe were featured on The Blaze! How Can You Participate in the 2018 Forge Leadership Summit? If you are a 18-25 year-old conservative, what are you waiting for? !REGISTER TODAY for the 2018 Forge Leadership Summit before the SEVENTY-FIVE spots run out.